The Drunken Sailors present a unique interactive musical circus experience. With over 40 years combined experience in performing, Shannon, Mark and Felicity create their own world on their self-contained stage/boat/tricycle. 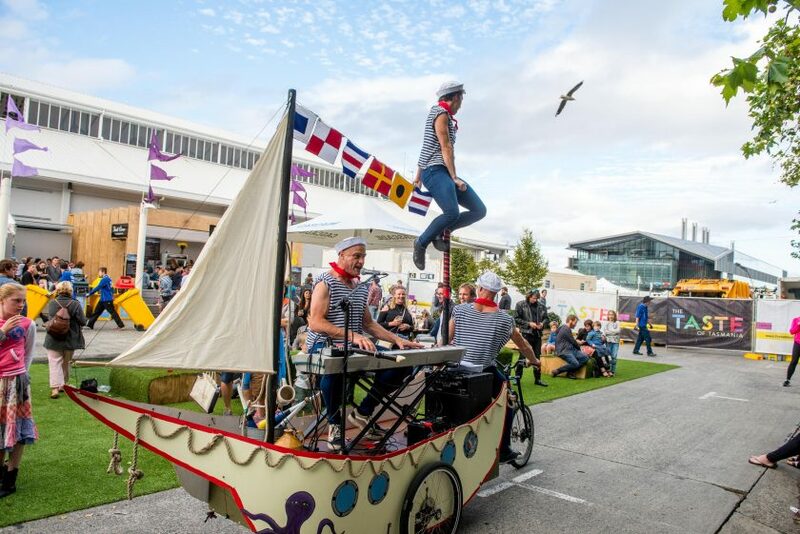 Experience them roving around the site in a show full of music, acrobatics, theatre and fun.